It’s funny how things go swinging flies for steelhead. 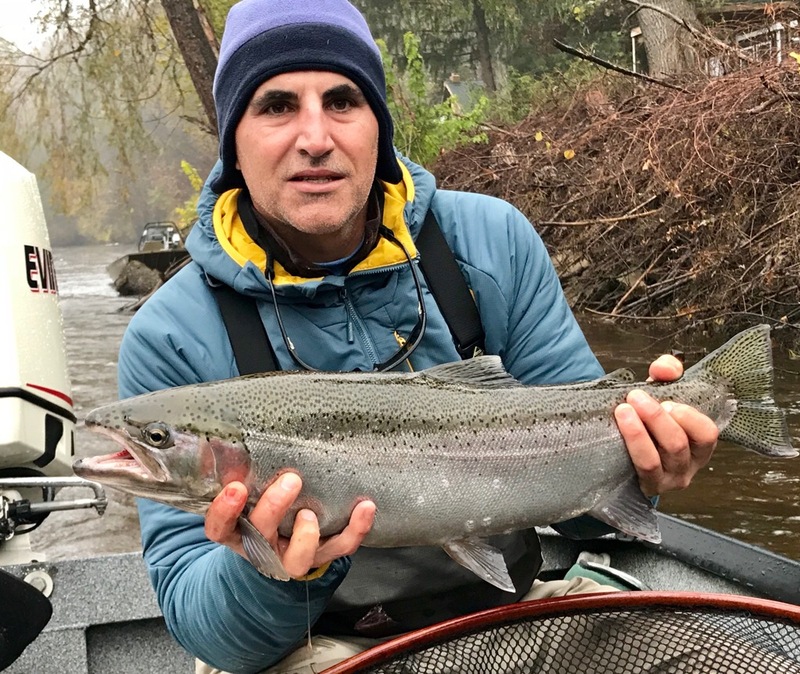 The past few days on the Muskegon River has lived up to the reputation of earned success in the world of steelhead. Today things started much better today with a couple quick fish, but quickly turned back to the long haul. Pictured is Michael with a nice hen that broke in his new two-hander.